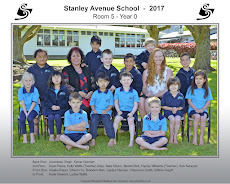 The holidays are upon us already and I remembered about putting our end of term photo up. We say goodbye to seven students, six of who are off to Room 6 and Zachary who is off to Australia. So it is farewell from Room 5 to Stacey, Emere, Talia, Lay-Quan, Saskia, Billie and Zach. We made some more lemonade as our farewell to them all. Yum! Have a happy and safe holiday break! See you all on 21 July.